The measure would eliminate a step in the municipal approval process that planners and developers say is often redundant. An organization that represents Maine real estate developers is lobbying the Legislature to pass a bill that would streamline the approval process for some apartment building projects in the state. 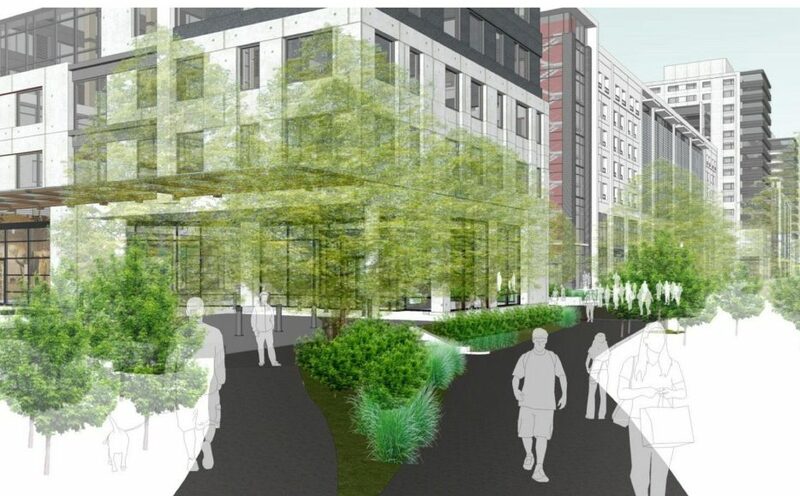 It says the law as it exists today is redundant, slows down development and needlessly made Portland’s long-delayed “midtown” apartment project look bad while giving ammunition to its critics. The bill, L.D. 805, was introduced March 2 by Democratic Sen. Nathan Libby of Lewiston. It would eliminate the need for a separate subdivision review for apartment projects in municipalities such as Portland that already have a rigorous site plan review process. Under current law, such projects must undergo both forms of review. The bill’s primary backer, the Maine Real Estate & Development Association, said the redundancy in the site review process for apartment construction or conversion can slow down urban development projects without providing any tangible benefit. 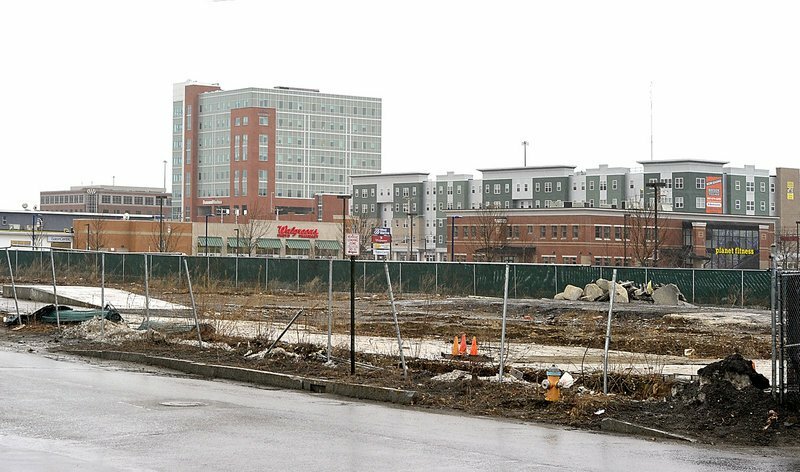 “The purpose of this bill is to help enable or expedite infill development,” said Andrea Cianchette Maker, an attorney and lobbyist for MEREDA, referring to projects that fill in vacant spaces within built-up areas. Maine’s current law requires developers of apartment buildings to undergo a separate subdivision review process that originally was intended for single-family home development in which a piece of land is divided into smaller lots for individual homes. The Legislature added the requirement for apartment buildings in 1990 after a development-related lawsuit, said attorney Gary Vogel, chairman of MEREDA’s legislative committee. The 1988 lawsuit, Town of York vs. Cragin, involved a dispute between the town and a developer, Patrick Cragin. The town refused to grant building permits for three projects that Cragin had proposed, a 12-unit apartment building, a barn conversion into 10 condominiums and a 20-room hotel, because it said those projects should have been treated as subdivisions. York ultimately lost on appeal, but Vogel said the case resulted in new legislation. “The Legislature thought maybe it was appropriate to treat all dwelling units like a subdivision,” he said. The problem, Vogel said, is that many of the development standards for subdivisions – right-of-way access to each individual lot, for example – don’t apply to apartment buildings. Therefore, to make it through subdivision review, apartment buildings often must receive multiple variances. “Midtown had to get waivers of maybe 10 different subdivision standards because they were not applicable to the project,” he said. Vogel said midtown’s opponents pointed to those waivers as evidence that the project should not be allowed. “It just creates uncertainty, and it’s not really a good fit,” he said. Vogel said other apartment projects have faced delays because the developer and town officials forgot about the subdivision review requirement until the last minute. Forcing developers to go through two separate site review processes at the local level doesn’t make sense, said Nancy Smith, executive director for GrowSmart Maine, a nonprofit organization that advocates for sustainable development. “Municipal review is essential, but having two processes required is simply redundant without adding value,” Smith said. The bill would allow cities and towns to perform both site plan and subdivision reviews on apartment buildings if they choose to, but they would no longer be required to do subdivision reviews on apartment projects unless the municipality lacks a similarly rigorous site plan review process. All traditional subdivision projects still would be required to undergo subdivision review. Portland Planning and Urban Development Director Jeff Levine said he favors the proposed change. He said that as it stands, the city essentially has to go through the same process twice when it comes to approving apartment buildings. The bill has been referred to the Committee on Environment and Natural Resources. No work session or public hearing dates had been set as of Monday.